Gloucester Waterfront – Click to link to the official tourism site for the City of Gloucester. 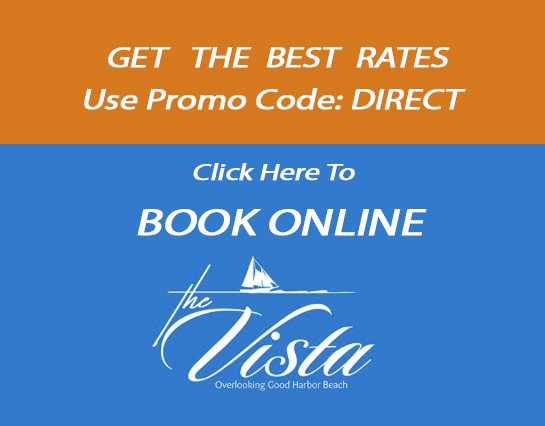 The Vista’s convenient Cape Ann location near the Rockport-Gloucester Line is also close to Route 128 so you can easily reach all the attractions of this beautiful area. Cape An offers an extensive array of restaurants to satisfy any palette as well as many activities and sights. View the list or attractions below. There’s lots to do, whether you stay for the day, a weekend, or a vacation. Here is a link to Maps that will help you plan your visit. You’ll find area businesses, the Harbor Walk and the Seafood Trail! The summer home of interior designer Henry Davis Sleeper, Beauport captivates the imagination not only because of its dramatic location but because of its wit. Filled with room after room of delightful objects meant to astonish and amuse, Beauport is an intellectual fun house originally designed almost a century ago to entertain such luminaries as European art collector Isabella Stewart Gardner, Harvard economics professor A. Piatt Andrew, and heiress Caroline Sinkler. Guided tours, May 15 – Oct 15, Mon – Fri, 10 a.m. – 4 p.m.
A true gem, this world-class museum has it all. 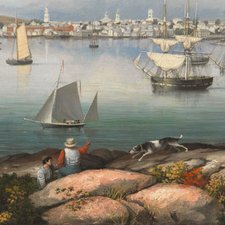 View artwork by some of Cape Ann’s most prestigious artists including Fitz Hugh Lane, Winslow Homer, Maurice Prendergast, Jon Sloan, Milton Avery, Marsden Hartley, Stuart Davis and others. Fisheries/maritime and granite quarrying galleries, 19th and 19th century American furniture, the largest collection of the work of the Folly Cove designers and historic artifacts collections including a first-order Fresnel lighthouse lens complete the experience that is not to miss. Essex Shipbuilding Museum Lectures, exhibits, demonstrations of traditional boatbuilding history and methods. Open year round. Maritime Gloucester Watch boatbuilders restore historic vessels on 19th century marine railway. Children love the sea pocket touch tank aquarium. Dive exhibit. Year round. Hammond Castle Museum Medieval castle of Dr. Hammond, America’s second greatest inventor. Tours, educational programs, concerts, function facilities. Open April through November. North Shore Arts Association Established 1922. Workshops, classes, lectures, auctions, exhibitions, May – October. Sargent House Museum 1782 home of Judith Sargent Murray. Guided tours, June – Oct., Fri – Mon, Noon – 4 p.m.
A Cape Ann Whale Watch Home of Whale Conservation Institute. Research staff led by renowned Dr. Roger Payne, host of In the Company of Whales TV documentary. Captain Bill’s Whale Watch Research scientists narrate all trips. Daily fishing, private charters, specialty cruises. 7 Seas Whale Watch Featured on the Discovery Channel and in National Geographic Magazine. Group, senior, and children rates. Schooner Lannon Picture yourself relaxing on the deck of this beautiful 65- foot schooner as she sails out of Gloucester harbor on a light southwesterly breeze. Schooner Adventure Walk the decks of 1926 Gloucester fishing schooner. Tours, Sunday breakfasts, educational/cultural programs. Sail Ardelle Built locally to sail globally. Sail with the Captain who built the schooner, Harold Burnham. Cape Ann Lanes Fun bowling, snacks and more. Cape Pond Ice The coolest guys in town. Excursion New England Scheduled and private outdoor excursions in the Boston and Cape Ann area including kayaking, rock climbing, biking, birding, canoeing, hiking, “geocaching” adventures or historical walks. Gloucester Stage Company Founded in 1979 by playwright Israel Horovitz, the Gloucester Stage Company has produced more than 35 world premieres, 50 American premieres, and 75 New England premieres. Plays developed at the GSC have gone on to critical and popular acclaim on Broadway, off-Broadway, across the United States, and around the world. Halibut Point State Park Spectacular views of the ocean from this historic granite quarry. Tours, lectures exhibits. Harbor Goods Life is Good at Harbor Goods, 33 Main Street, Gloucester.